Every Church needs pillars. The taller the building, the stronger the need for quality and solid pillars that can hold up the entire structure. The vertical support essentially keeps the structure together, assuming it is built on solid ground. Also called columns, these pillars are to be installed before the roof can be laid, before the pipes or electrical cables can be installed. In buildings, the stability of the pillars determines the stability of the entire structure. 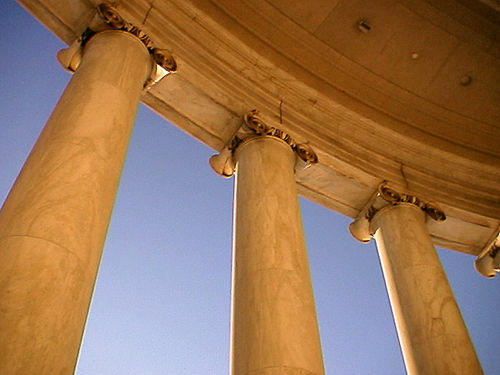 The phrase, "Pillars of the Church" is often used to describe core beliefs and practices of the Church. Without them, Church fails to be Church. Without them, the Church crumbles. Sometimes, it is also used to personify people who play very important roles. People like the leadership, key positions, and ministry resources without which the Church cannot function properly. What are the pillars of the Church? I like to propose four crucial pillars. This week, I deal with the first pillar: Praising God in Worship. The major prophet records what he sees in riveting fashion. Living through the reigns of four kings of Judah: Uzziah, Jotham, Ahaz, and Hezekiah, Isaiah preaches a consistent message of warnings against disobeying God, and the need for Judah to repent. In the first five chapters, Isaiah faithfully speaks out against spiritual rebellion, warnings against abandoning the covenant, and the impending judgment of Israel and Judah. After the death of King Uzziah, Isaiah gets a glimpse of the glory of God, the holy Divine LORD. He sees the LORD, seated on the throne, high up there, fully exalted and gloriously magnificent. He has come into the Presence of the Holy. For all his visions, his proclamations, announcements, and passion, nothing comes close to seeing God's glory revealed. After this experience, Isaiah is a changed man. From this experience, Isaiah speaks out boldly, "Here I am, Send me." Moses covers his face when he sees the LORD in the burning bush. The Apostle Paul gets blinded by the Spirit on the way to Damascus. The seraphs flying around God cover their faces in fear and trembling. Just seeing the actions of the seraphs is enough to move Isaiah to worship. Isaiah is one privileged prophet to come near to the throne of the awesome God. 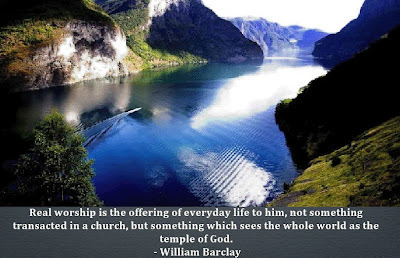 Seeing the glory of God, prepares him for the commission for God. What is the purpose of Church? Is it to meet friends? Is it to come together, go through the motion of singing, listen to a sermon, then fulfill our membership obligation by giving, by attending, and then mingling with fellow believers after service? For all the Sunday School programs, for all the efforts put in to make the sound system and the technology equipment work, for all the preaching, the praying, and the singing, what is the purpose of it all? It is wrapped up in one word: Worship. 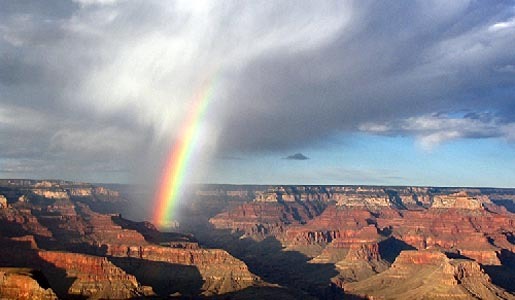 I remember making a trip to the Grand Canyon several years ago. The view of the natural wonder is simply magnificent. There are mountains on mountains, valleys after valleys, and the scenes are breathtaking. Each ray of sunlight reveals even more. I can stand there and be awed by the beauty and the creative wonder of how the entire Canyon is put together. No photographs can do justice to the original beauty. No quality camera can reproduce the awe. No a professional photographer can even bring us close to the experience of actually being there. I notice many people just contented to watch in silence. Some click away freely to capture as much of the scenes as possible. Others let their video rolls on and on. For me, I gaze. I admire. I ponder: "If creation is so beautiful, how much more is the Maker of such creation?" "Holy, holy, holy is the LORD Almighty; the whole earth is full of his glory.'" The reason why we have many lethargic people on Sunday mornings is simply because they have not learned to cultivate the watching for God. We need to be prepared to witness the glory of God be revealed. Church is not about programs or about getting people together for the sake of the people. Neither is it about going through the motions of membership. Being faithfulness is good. Being diligent in attendance is great. However, these alone are never to be the main purpose of coming to Church. 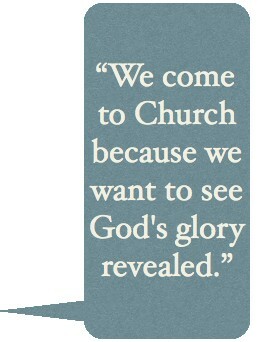 We come to Church because we want to see God's glory revealed. We want to witness Jesus's Word come alive. We want that spiritual encounter with the Holy of holies, the King of kings, the Lord of lords. 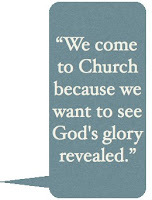 If Church is not about revealing God's glory, it is not becoming of a true Church of God. Some churches practice the 4Ws: Worship, Word, Welcome, Warmth as a way to synchronize their Church focus. The first two leads members vertically (Worship and Word). The next two provide the horizontal focus (Welcoming new people and Warmth among all). It is a good way to ensure that members keep all four visible in the spiritual dashboard. For the first pillar, I like to refocus the vertical relationship a little differently as follows. The first pillar sets the tone for the rest. It is not just a stirring up of our hearts to sing songs that makes worship special. It is the sight of God's glory and magnificence that releases our hearts to worship God. Worship is not a one out of four emphasis. It is a first in every ministry in Church. In other words, without the vertical relationship, all other relationships are meaningless. When we fellowship with one another, we can small-talk our way through several cups of coffee. We can serve each other sandwiches or cakes during refreshment time. We can even talk about God. These activities are just byproducts. The main course is the glory and worship of God. Far too many churches are substituting the appetizer, the side dishes and making them the entree. No wonder many Christians are not satisfied. D) What If I Do Not Feel Like Worshiping? One question I am often asked is what do we do when we do not feel like worshiping. My reply will be this: "Your very question is already stepping on the brake pedal." Worship is not about us. It is all about God, and to realize that God cares all about us. It is like we give God our all, and God in his grace, chooses to return us many fold in assurance, in promise, in peace, and in many attributes of God. When we do not feel like worshiping, then what are we actually feeling? Are we allowing feelings to dictate our actions? Worship is waiting. It is anticipating God's glory come down to earth, shining light on the Person of Jesus Christ. Do we want to see Christ? The song below is an apt preparatory song for our hearts. We want to see Jesus." Worship is that longing for God. It is that desiring after God just like the deer panting for the fresh stream waters. It is that hungering after God with all of ourselves. It is that wanting to see God, to touch Him, to hear Him, to feel Him. It is the desiring. It is the longing. It is a recognition that it is God's prerogative, on when to speak and when NOT to speak. When we see the glory of God revealed, there is no better response than to worship. All church ministries, all programs, all activities, are to be planned with worship of God, that will empower us to give of our utmost for His Highest. If Church is not helping members to worship, it is not fulfilling its calling. If the Church is not leading people to worship, it is leading people away from worship. When I preach, I begin and end with prayer, to give thanks, and to ask the Holy Spirit to show us the way to worship. I tell my congregation that worship is not just the first part of the Sunday service. It is the ENTIRE service. From the ushering, from the singing, from the welcoming, from the pulpit, from the benediction and all else, it is to lead people closer toward God. Whether people actually feel that they have met God or not is secondary. The work to help people get there is primary. It cannot be done in our own strength. It needs the Holy Spirit to lead and guide us. True worship begins when our hearts are open, our ears are listening, our eyes are gazing, our lips are singing, our hands are praying, and our whole body is expecting anytime, anywhere, and anyhow, that God's glory is coming. Any work for God must begin with worship and end with worship. In between, real worship is the continued offering of ourselves for God, through His mission in this world.